Is the Scandi Sense Diet Legit or Just Another Dieting Scam? Suzy Wengel is the woman behind the Scandi Sense Diet, which has been generating quite the buzz as a new alternative to other diet plans. But is this diet legit, or is it just another dieting scam that you should avoid? What Does the Scandi Sense Diet Require? Make sure you eat three meals each day. Every meal should fill you up for at least five or six hours, and you shouldn’t snack between your meals either. When measuring portions, use your hands. It might seem strange at first, but this is an easy to way to limit how you fill your plate. You can enjoy up to just four handfuls of food at each meal. One or two of those handfuls should consist of veggies, while one should be a protein and the other should be carbs or fruit. You are allowed to have fat, but limit it to 3 tablespoons. You can also drink 10 ounces of milk products daily. Also, alcohol, sweets, and soda should only be enjoyed if you’ve adjusted calories in other meals to accommodate for these treats. To determine if you’re measuring your portions correctly, see if you’re losing weight. If you end up shedding some pounds, you’re doing it right. If you’re gaining weight, reduce how you measure your handfuls. Does the Scandi Sense Diet Really Work? The Scandi Sense Diet seems straightforward enough, but what do experts have to say about it? First off, they do think that it’s a clever way to control your portions, especially if you have had trouble with it in the past. According to Today, experts feel that you can certainly use your hands to measure portions, as your hand is probably about a cup’s worth of food. Just be prepared for this measuring system to be a bit messy. 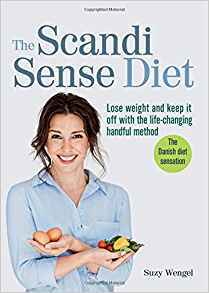 Ultimately, the Scandi Sense Diet may be a great fit for those who have had trouble with yo-yo dieting and portion control in the past. The diet encourages mixing a healthy amount of carbs, protein, and fat, so that’s a good thing. However, you should be prepared to follow the recommendations closely to get the best results, especially when you want to indulge in a treat or you want to have extra veggies and you need to cut back on other parts of the same meal to accommodate these changes.